These two books, published by Makaro Press as part of their Hoopla poets series, were launched at Takapuna Library. I began by reflecting it was always nice to be back in Takapuna where Kay and I lived when we were first married and used to be constantly visiting or visited by Frank Sargeson. It was the year we got to know Janet Frame, who came to live in the old army hut in Frank’s garden; and it was my M.A. 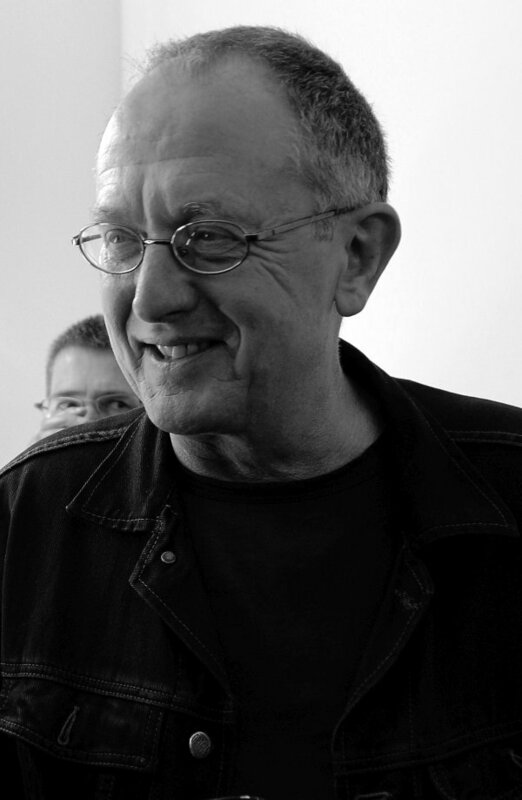 year during which I spent a lot of time being taught by Allen Curnow, and reading typescripts of the extraordinary new poems he wrote that year. These reflections were prompted by the Library’s bronze bust of Sargeson and also by the portrait of Chris Cole Catley who was to be Frank’s literary executor when he died. First just the look of these two books: with poetry I’m always somewhat influenced by appearances, because it tells you something about the taste of the people who are publishing and promoting the collection, and I would be at once drawn to these two and want to buy them – compact, colourful, attractive. And inside, they don’t disappoint. They match their appearance. These are delightful, elegant collections by two talented poets. by your tender infinitive. That keepsake. The infinitive, I assume, is of the verb ‘to be’. The mother’s being, having been, brought back by memory into the present. Infinitive, infinite, definitive, something tendered, something kept, a keepsake – the words are suggesting more than they say, reaching beyond themselves, as words should in poetry. 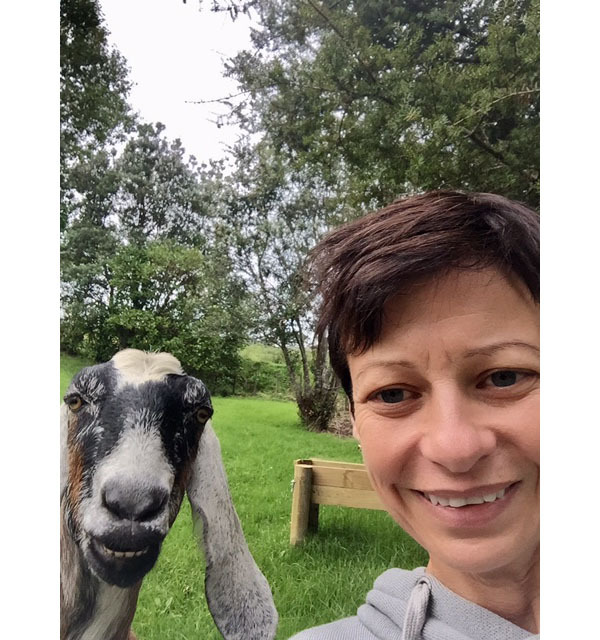 As the collection moves away and out into a wider world, what strikes me as especially appealing, is Jo’s affinity with animals especially, and more broadly with the world of living things. It’s the strength and immediacy of her attachment that’s so striking. You have to feel this creaturely kinship strongly enough to notice what’s going on in the animal underworld, and observe it closely enough to write about it well. Jo’s poems are full of that kind of observation, prompted by feeling and cemented by anxiety, or pity, or pain. There is the wounded paradise duckling she hopes to save but can’t. when I set him down. Then there’s the ‘lean tortoiseshell’ cat tame for ‘two years / and three litters’ who, after all that, disappears – ‘forever’. The detail there – ‘the safe cave’, ‘the proud dark’ – is so much the world as the cat would see it, and Jo’s imagination has taken her inside it. So the animal world is an extension of the family; and at the centre of the family there is the sad drama of the mother’s life and death, her breast cancer diagnosis, the mother-daughter discussions about an ending, and then the death unexpectedly in a traffic accident – and the slow accommodation to the fact of it. And there’s humour too – it’s not a grim book at all. The bitless bridle limp in idleness. A beautiful line – but you need to be enough of a horse person to know that the ‘bit’ is the part that goes into the horse’s mouth and controls it. Jo’s poems are a world where everything has reference; everything is real. In Elizabeth Morton’s we’re on the borders between fact and fantasy, reality and symbol – and in a state of uncertainty about which is which. It’s quite a dark vision, though certainly not heavy or humourless. It occupies a space where things decline to be managed. There’s a sense of uncertainty and a constant edge of fear. Elizabeth has created a poet-persona for herself, Wolf, represented as an outsider, perhaps more symbolic than real, in love but solo, exiled. The collection begins with that figure, but moves beyond it. you go by when the gale rolls in? ‘If the furniture turns to anger’. This at the outer edge of normality; it’s the uncertainty of self, and the fear that goes with it – and a lot of Elizabeth’s poems explore that territory. I’m limited for time here, but I want to say something briefly about one of Elizabeth’s poems which is different from the rest – a success, but of a different kind. Most of her poems find their form as they go – they ‘take shape’ in the writing; but there’s one that has quite a tight form, a villanelle. It represents, as so many of her poems do, a moment, or a state, of uncertainty. Home may be where the heart is – but for how long? What are those suitcases for? They’re at the entrance so perhaps their owner has just returned. Or is he on the brink of leaving? Home is where the heart is, but nothing more. And his suitcases are leaning by the entrance door. How many houseguests have gone before? The peach tree is hanging its fruit in gloom. and dogs clamour and street-cabs vroom. His suitcases are leaning by the entrance door. Do the venetians match the grim décor? Does the tabby flinch when his shadow looms? To see behind the brick costume. In Elizabeth Morton’s poems nothing is certain, except that they create and occupy a vivid and mysterious world. Congratulations to Jo and to Elizabeth, and to Mary as their publisher. These are two lovely little books, excellent collections, and I’m delighted to be launching them. Translated and edited by Andrew Paul Wood and Frederich Voit, Cold Hub Press. Reviewed for the London Jewish Chronicle. Although I never met him (he died in 1948 when I was 15), Karl Wolfskehl has always seemed to me a heroic figure. 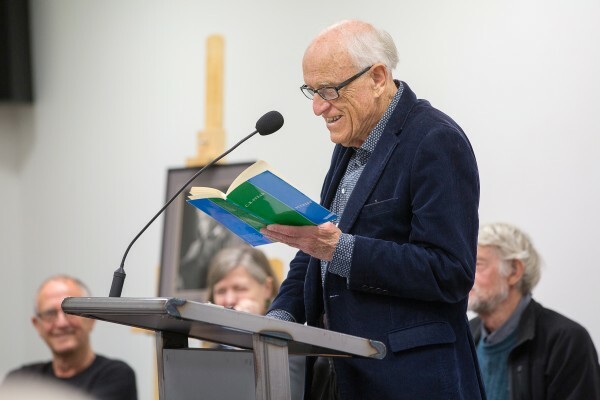 Poet, intellectual and man of letters, he had taken refuge in New Zealand and made a vivid impression on people like the fiction writer Frank Sargeson who often spoke of him. Born in 1869 into a wealthy German-Jewish family, Wolfskehl established himself early as a significant poet in the manner of the Symbolists. He was a devoted follower of the poet Stefan George, but unlike the private and retiring George, he became an affable out-going central figure in the literary life of Munich in the early years of the 20th century. His first major set-back in life came at the age of 50, when the economic collapse of 1919 stripped him of most of his inherited fortune. He met this challenge bravely (though at the expense of his poetry, which stopped for a time) and became an important essayist, critic, publisher and literary journalist. The second blow, however, was beyond his powers to combat. When the Nazis came to power in 1933 Wolfskehl took refuge in Italy. When Italy began to follow Hitler in anti-Semitism he chose to escape Europe altogether, to go as far from it as he could. 1938 brought him with his companion Margot Ruben, to Auckland. He found friends here among the Jewish community, many of whom were exiles like himself and were adding to the intellectual, and especially to the musical, life of the country. Wolfskehl, who at first knew little English, was much more limited in what he could contribute; and his world became more restricted as his eyesight failed to near total blindness. Nonetheless he gathered a significant group of literary and intellectual people around him in Auckland, some of whom read to him, all appreciative of his conversation and the great gifts of European culture he brought with him – a man who had not only been part of the George circle, but had known Thomas Mann, Hugo von Hofmannsthal and Rilke among the writers of his time, and among the painters Kandinsky, Gabriel Münther and Paul Klee. Perhaps most important, during these war years he was writing what the German scholar Paul Hoffmann considers to be his greatest poems. Wolfskehl had always felt that his family, which had been in Germany for at least a thousand years, were loyal Germans and fully ‘integrated’. Now the mad dog of anti-Semitism which Hitler had been able to elicit forced him back into his Jewish identity. It became the centre of the new work – poems of the refugee, the suffering Job of Jewish tradition, the blind Samson. He was also writing remarkable letters at this time, which are a contribution both to German and to New Zealand literature. His speech was rapid and excitable, his conversation brilliant, amusing and imaginative. He was practical, romantic, temperamental, moody... Those who knew him in Auckland were indeed privileged, for he was a great man, a marvellous civilized man who had a civilizing effect on those around him. I have to admit that I struggle with the poems. That is partly a consequence of temperament and partly of Anglophone as distinct from German habits of mind. I recognize their nobility, and one cannot but be moved by the suffering, the generosity of spirit, and the love they represent. But their tendency is always towards symbol and abstraction, rather than what the critic John Crowe Ransom calls ‘things in their thinginess’. The voice is (as Wolfskehl intended) more that of a mythical figure than of a human personality. The tone is not just serious; it is grand, sonorous, elliptical, portentous, sometimes arcane – the poetry of a man still loyal to the principles of Stephen George. The language seldom drops towards the casual or the idiomatic; and when it does, as in some of the touching poems to Margo Ruben, it reminded me of a character in E.M. Forster describing a passage in a Beethoven’s 5th symphony as suggesting elephants dancing. It’s not that Wolfskehl poems can’t dance; but they’re not Fred Astaire. Someone likened his later poems to complex Psalms, and that is one way of coming to terms with them and giving them the kind of attention they need and reward. Longinus said ‘Sublimity is the echo of a great soul.’ The sublime, I suppose, was the George style and it was Wolfskehl’s; and I think his was a great soul. This is an elegant book, with useful introductions by both Voit and Wood. The only Wolfskehl translations I have for comparison are some by Peter Dronke in the New Zealand Poetry Yearbooks for 1955 and 1956-7. These by Wood and Voit stand up well; and any degree of awkwardness here that suggests lines or phrases resistant to translation into English are usually equally problems in Dronke. This is as near as we are likely to get to the feel and tone of Wolskehl in the English language; and for German readers these are parallel texts, with German and English on opposite pages. Wolfskehl did not return to Germany after the war. He died in 1948, a New Zealand citizen, and is buried at Waikumete Cemetery under an impressive granite slab with a Hebrew inscription, his name, and the words Exul Poeta. Note: In my recently published Shelf Life: reviews, replies and reminiscences (AUP) there is a piece, ‘Only Connect’, which begins with my taking the London Jewish poet and publisher Anthony Rudolf to visit Wolfskehl’s grave in Auckland, and goes on to discuss Wolfskehl’s friendship with Sargeson. Poetry readings go wrong – or right?? In my experience problems at readings usually involve booze. I remember Jim Baxter being carried to the stage at Auckland University in I think 1952, clamped on either side by Rex Fairburn and Allen Curnow, his galoshes swinging and not touching the floor. I made a scene of that in my novel All Visitors Ashore. Glover was always drunk but that did not spoil his reading, which was colourful and dramatic. I was to read once somewhere in Canada with two or three poets including Elizabeth Smart, famous as the author of By Grand Central Station I sat down and wept. When we went on stage Smart had not appeared, and word came that she was somewhere in the building, drunk and weeping, refusing to emerge. The reading went on without her, and she went on weeping. Smart was the wife of George Barker and mother of quite a number (possibly six?) of his children, and there is another connection here with poetry and booze. At a League of Canadian poets festival in Toronto in 1981 I got to know the British Jewish poet Elaine Feinstein, best known at the time as the recipient of a famous letter from Charles Olsen (of the Maximus poems) where he set out to make known his very serious poetic theory (something to do with breath/breathing). This letter and its theory had become a gospel for the American Black Mountain poets, and so Elaine had earned a kind of accidental fame from it. She and I had visited a zoo together, and for some reason I had missed her reading. She said never mind, you’re going to be in England soon and I’m to read at Oxford with George Barker and W.S. Graham. Come and hear me there. So I took the train up from London. There was a train back at 10.30 and then not another until 1 or 2 a.m. (This was before 24-hour Oxford Tube buses were running.) The programme was to be Graham, Feinstein and Barker in that order, but both the gentlemen poets were drunk and neither would agree to go last, arguing that by then they would be even drunker. So Feinstein, who was sober, agreed to go last. Both men, however, went monstrously over their allotted time, and before we got to Elaine I had to run for my train. In 1965 at the Commonwealth Arts Festival I read at the Royal Court Theatre in London with Stevie Smith and others. We sat on the stage in a row, all except Stevie, who hid behind a special curtain until it was her turn to read. She read quite well, but then retired again behind the curtain until her turn came round again. It was understood, it seemed, that she preferred not to be seen more than was absolutely necessary. I should have returned the little pink book but kept it as a memento of JKB in his drunken days. 12 May I flew down for the Dunedin literary festival to read as one of what has come to be called ‘The Circle of Laureates’, always enjoyed by the poets, each of us with our carved Tokotoko – an event that has an air of absurdity about it, but which audiences seem to enjoy and in Dunedin flocked to attend. While there I took time out to visit Charles Brasch’s old address, 36 Heriot Row, and was surprised there was no plaque commemorating his residence. The only signs read ‘No Junk Mail’ and ‘Beware of the Dog’, which were remote from anything suggesting Charles Brasch, but could, nonetheless, be read as joke warnings from a literary editor. I was surprised what a steep climb it was up from the Octagon which perhaps, in the long-ago when I stayed there with Charles, I was young enough not to notice. CK Stead reading, with Ian Wedde, Jenny Bornholdt and Brian Turner in the background. Photo by Sharron Bennett. is all the happiness we’ll know. The affirmation is there, but it’s cautious. Irony always lurks. And to see these two, Wedde and Turner, on the same stage is to see the different temperaments as clear in voice, physical stance and dress as in the words on the page. There is no better and worse about this. They are two large talents, two strong poet-personalities, similar in age but so different in temperament. It is for me just a representation of the wide range of excellences New Zealand poetry now offers, and how much richer it has become over the years of my lifetime. 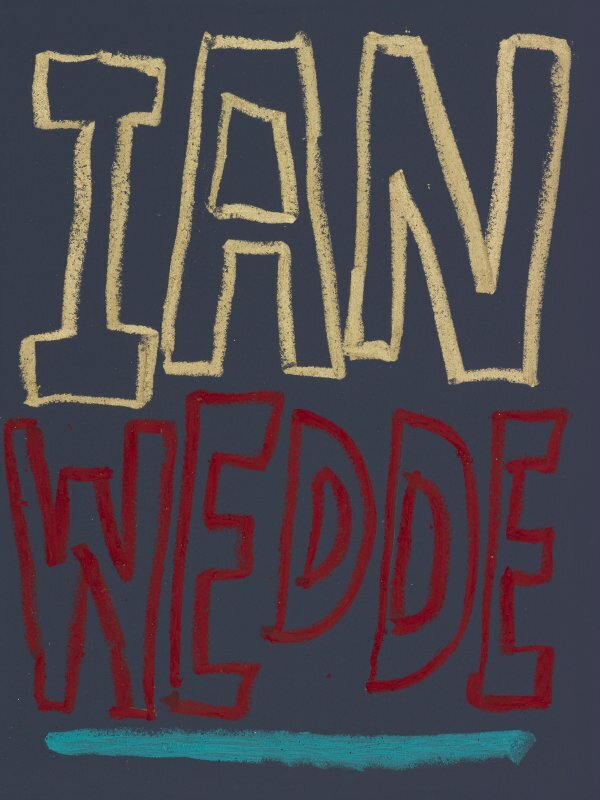 I am exactly 14 years older than Ian Wedde (‘exactly’ because we have the same birthday, 17 October). This means that when Ian erupted on the literary scene in Auckland in his early-to-middle twenties I was approaching 40, a time when (quite absurdly) you feel you’re passing into the shadows. This feeling is increased if you happen to be a writer who has been welcomed and has won a few significant prizes when young. I’d had my time in the early 1960s as New Zealand’s ‘young writer’ du jour, and now here was the next, and such a star! Right from the first Ian was so manifestly and exceptionally talented; his poems seemed to flow with such ease; and he seemed to bring with him a group of like-minded young writers, Murray Edmond, Alan Brunton, Dave Mitchell, Jan Kemp – even Russell Haley who was not so young but could appear to be and was willing to act the part. They called themselves the Freed poets, and published a magazine called Freed, which was full of brash confidence, arrogance sometimes, and determined, it seemed, to sweep aside their New Zealand predecessors who were (as they saw it) essentially British in orientation. The Freed poets’ preferences and precedents were more often American; and I was left in no doubt that I was part of the literary debris that the new broom was going to sweep aside. Later I tried to mark this shift in our literary history in a lecture I called ‘From Wystan to Carlos – Modern and Modernism in New Zealand Poetry.’ The title came from the fact that Curnow had named his first-born Wystan with W.H. (Wystan Hugh) Auden in mind, and Wedde had named his first-born Carlos thinking of William Carlos Williams. I used this naming of sons to mark the shift from a British- to an American-oriented poetic; a change of pace and direction in our literary history. I remember some time in the late 1960s Murray Edmond stopping me on the steps of the Library and telling me that he and his friends were going to write poetry that had ‘the courage of its emotions’; they were going to be rid of irony and replace it with full-blooded feeling. This was entirely intelligible to me in the sense that I had grown up strongly influenced by what had been called the New Criticism, which declared irony and ambiguity to be characteristic of, and therefore measures of, poetic excellence. It was not a bad measure in that life itself, ‘reality’, tends to be full of ambiguity – and therefore to treat experience ironically was usually a sign of maturity, of realism, of facing the hard facts. All true – except that if it became your sole measure of excellence it seemed to rule out full-blooded, whole-hearted romantic rapture – and the Romantics were certainly out of fashion with the New Criticism. So it seemed that the Freed poets were going to bring passion back into the New Zealand canon; and to some extent that’s what they did. No ironist could have written Wedde’s ‘Beautiful Golden Girl of the Sixties’ (a lovely poem I think, and not here in his Selected, alas); nor Dave Mitchell’s Pipe Dreams in Ponsonby. I was surprised to find when I was thinking about this launch that I had published, in my collection Kin of Place, twenty pages tracing the progress of Wedde’s poetry from the mid 1960s to 2001; and that one thing I’d noted, considering his progress over that period, was that at intervals he had repeated the little lecture Murray Edmond had delivered me on the Library steps – that he and his friends had ‘had enough of irony’ and were not going to hedge their feelings or apologise for going all-out and full-bore. They were the boy racers of NZ poetry and no apology was called for. I don’t think there’s any mention of irony in the new Selected Poems, but there is an introduction which speaks of ‘enjoyment’; and there’s plenty of that, in the writing and for the reader. The selection rediscovers some smaller items Ian had forgotten since they were written; but it concentrates more on the sequences, the longer ‘process poems’ that were part of that Americanisation of New Zealand poetry that occurred with, and since, the advent of Freed. This is a beautifully produced collection, a pleasure to hold and to look at, and a treasure house of fine poems. It’s the record of a remarkable poetic intelligence and sensibility at work over half a century; and a major addition to the stock of our literature. Congratulations to Ian and to Auckland University Press. Historian and novelist A.N. Wilson gave a brilliant, witty, wide-ranging performance, interviewed by Simon Wilson, former editor of Metro, to a full Aotea Theatre. Beautiful weather – cool but sunny with clear skies and a blue harbour. The AWRF has established itself in the last decade as New Zealand’s foremost literary event.